Artigem understands the sentimental value that jewelry can hold. This is why we have developed a program using our state-of-the-art Sarin machine to accurately identify all the attributes of a remaining earring after a policyholder loses the other one. This allows the policyholder to keep a part of their treasure, rather than having to buy a completely new pair and salvage the remaining earring. The Artigem Jewelry Specialist will send the policyholder a FedEx box with return shipment materials and they will send the remaining earring in. 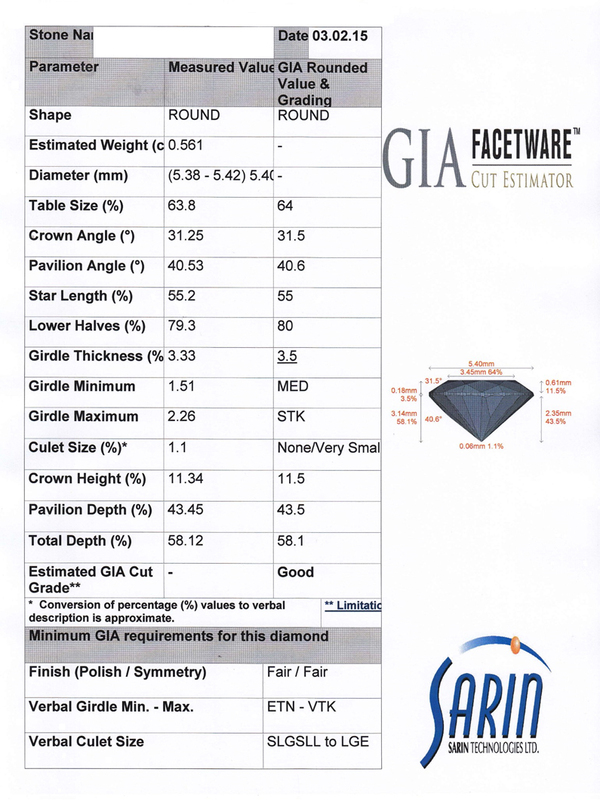 Once Artigem receives the remaining earring, their GIA Graduate Gemologist will use the state-of-the-art Sarin machine to analyze every aspect of the diamond. The Jewelry Specialist working on the claim will use the Sarin report to search the market to find a perfect match to the remaining diamond. Once a match has been found, the diamond specifications will be available for viewing in the Policyholder Claim Services Homepage. Upon the policyholders approval, the Jewelry Specialist will order the diamond and new mountings and an Artigem Master Craftsman will set the diamonds. Once the setting is complete, the Jewelry Specialist will have new appraisals prepared for re-insuring the new earring and shipping arrangements will be made. 99.5% Success Rate in Matching Earrings!